/ HOW TO PREVENTED STRETCH MARKS? The best solution is to prevent stretch marks at the time when the skin begins reefs. 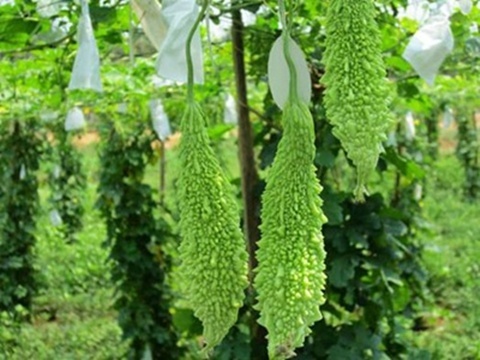 Momordica Charantia formula (Left bitter melon) has developed into a series of specialized products help prevent stretch from May 3rd to May 3rd after birth, providing moisture and increase the skin's elasticity, helping to translucent and prevent stretch marks. Most women (75-90%) during pregnancy stretch marks and often at different levels. It is worth the bother of this stretch marks is that they do not have to "go" that stays with the body forever, even though traces of them ever dimmer than they appear. Momordica Charantia clinically proven that can help prevent the appearance of stretch marks during pregnancy, by providing an advanced composite components important to moisturize and increase elasticity stone Crab. 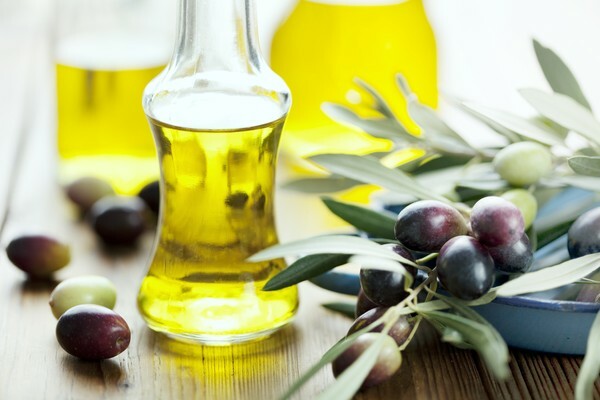 Olive oils - Essences in olive oil contains many antioxidants, increases the elasticity of the skin makes the skin more beautiful light, which improves skin elasticity, softens and moisturizes the skin as well as create a class protect the skin barrier. Mulan - Helps reduce inflammation, relieve muscle tension. 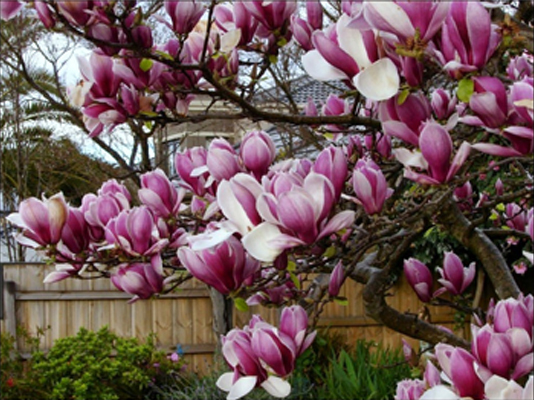 Supplements from magnolia extract, an advanced ingredient helps slow the aging process, enhance the skin barrier function, regenerate skin cells as well as effective skincare. Rice germ - Contains quality 3x lysine, an amino acid essential for the growth and maintenance of tissues human body. 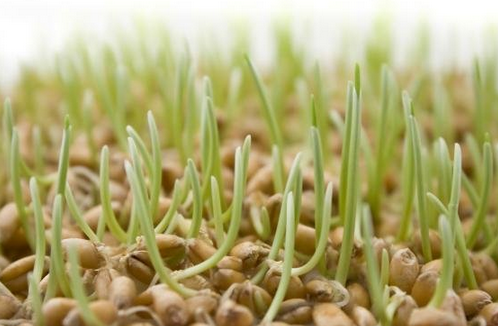 The enzymes in the grain bed in this state will provide a maximum of nutrients to the skin. Pomegranate Extract - Pomegranate Extract has anti-aging function and help rejuvenate your skin from the inside out. 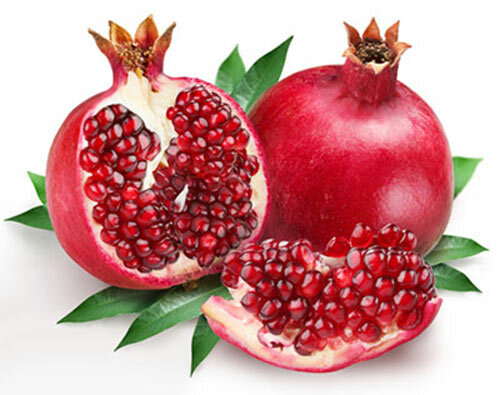 Pomegranate helps prolong the life of fibroblasts, cells that produce elastin and collagen born. Elastin and collagen helps tighten the skin and improve skin elasticity. Pomegranate seed oil also helps the epidermis (the outermost layer of the skin) is firmer healthier, reduce or remove wrinkles glassy. Its extracts on skin affected areas to ensure that your skin will heal quickly. 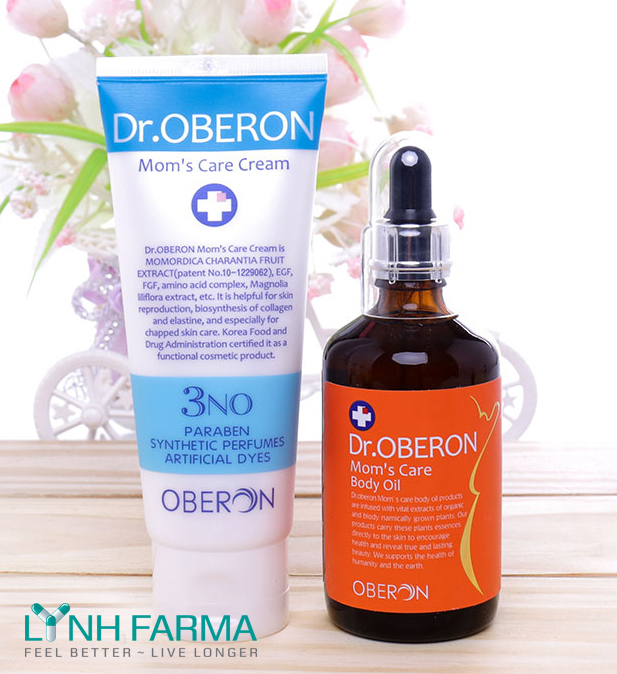 Dr.Oberon prevent stretchmarks lotion and intensive care and skin protection during childbirth is a form of body lotion works to prevent and reduce stretch marks, for pregnant women or people cracked skin due to weight gain. Use from May 3 ~ 5 of pregnancy. 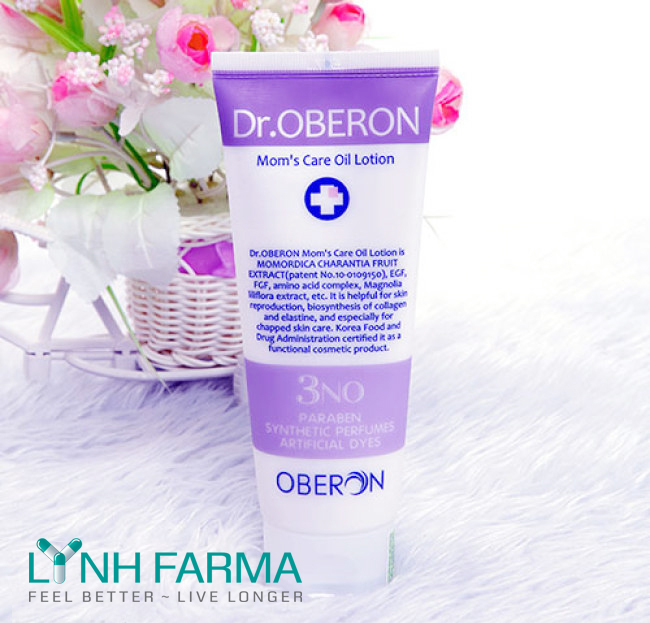 Lotion should be used Dr.Oberon Mom's Care Oil lotion - Dr.Oberon Mom's Care Body Oil to achieve effective as expected. Prevent stretch marks cream is a concentrated cream to help prevent stretch marks in areas with high risk pregnancy rift. Use from May 3rd to May 5th after birth. 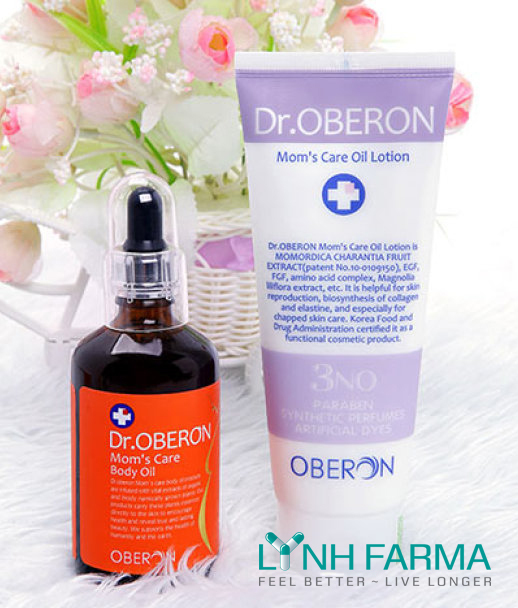 Cream should be used Dr.Oberon Mom's Care Cream - Dr.Oberon Mom's Care Body Oil to be effective as expected. How to use: Apply gently 02 times, focusing on areas of skin that have a high risk of cracking as the abdomen, thighs, hips, chest and arms. 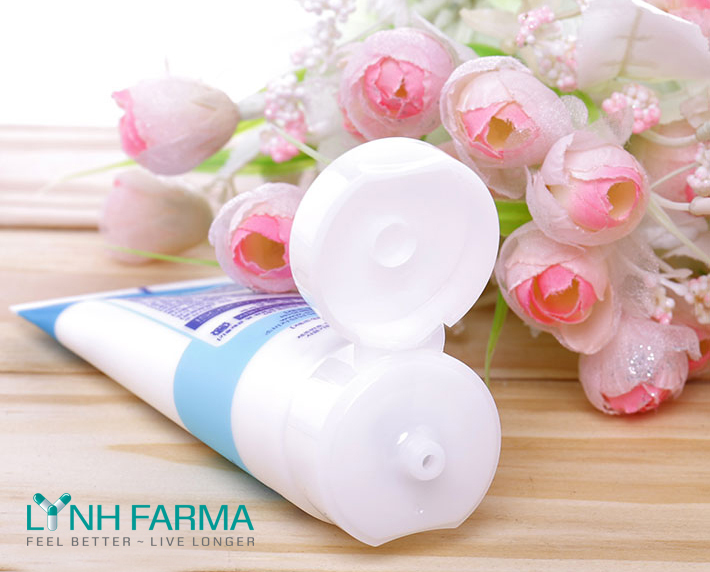 For detailed advice on the product and address your nearest store, please contact: LYNH FARMA Co., Ltd.